Learning piano online can be amazing since there are so many great resources. Here I’ll share my favorite sites for the best online piano lessons out there. What Are The Best Online Piano Lessons? So - you’re looking at learning the piano online! It’s a great way to set your own pace and work around a busy schedule with no concrete time commitment, but it can be hard to find the right piano lesson service in the sea of online sites. In this article, I’ll break down some of the differences in some popular online piano lesson sites. Different sites have features that will appeal to different students, so it is a good idea to weigh your options and shop around, especially if you’re looking for a paid service. Flowkey manages to stand out right from the gate, with a clean and straightforward user interface on their landing page and a simple approach that gets right to the point. Flowkey starts tailoring itself to your learning preferences almost immediately, breaking down into two groups: students looking to learn a few songs or play causally, and students more interested in advanced theory and technique. I’ll go over some of the nuts and bolts of the service below, as well as some of the key points to look for in an online lesson service. Flowkey offers a pretty attractive array of features for a student looking to learn online. It has an app for both Apple and Android devices, as well as a website. The interface is universal, so it will look the same whether you access it on a tablet, phone, or computer. It’s easy to set up and get started learning. Flowkey also supports MIDI (or “Musical Instrument Digital Interface”) input, which is a must-have feature in my opinion. The microphone tracking is neat, and works alright for learning, but a MIDI keyboard is easier and more intuitive for picking up concepts and forming muscle memory. Flowkey also offers a slow-motion mode for learning songs at a slower tempo, which is great to cement chord progression in time with melody into your muscle memory. It also offers a flexible lesson plan that you can work through at your speed, and jump back and forth in to your comfort. All-in-all, Flowkey offers a feature-rich service with excellent design and functionality, and leaves little to be desired for an online learning program, so it’s a pretty solid choice if you’re serious about learning to play online. So, if you’re looking to try it out, you’re looking at about $20 dollars, but if you never want to pay again, you’ll need to drop about $300. If you’re serious about learning or plan to use the membership for teaching multiple students, it’s not a bad value. However, if you’re just starting out, I recommend starting out with a lower pricing tier to see how you like the software. Pianote offers an online lesson experience a lot like private lessons, according to their site. With a versatile approach with a lot of content, students are bound to find something that works well for them. Pianote’s main selling point is it’s access to professional teachers for subscribing students. Pianote’s main selling point is access to a group of online piano teachers that work with subscribing students to work through the service’s lesson plan, helping them work through the material. Pianote offers popular songs along with their lesson access, but they also have a focus on teaching songwriting, which was a bit of a standout in my search. Pianote, in addition to fundamentals, claims to help teach students versatile skills, such as improvisation and developing a better ear for music. As for learning, Pianote has a lesson plan supplemented by helpful teachers that are available for advice and give weekly video lessons. This gives students the opportunity to learn from multiple teachers, which is very helpful for finding a style that fits your personal needs, as well as exposing you to different techniques and perspectives. Pianote also offers a 90-day money back guarantee, if you’re not satisfied with their service. The part I love the most is the forum. There's a section where you can ask the teachers anything you want, and once per week there is a video response to all of the questions posted in the past week. They dive into great detail while in front of a piano so you get the satisfaction of a response, plus an example of a real world application or practice routine based on what you asked. Pianote doesn’t offer a one-time payment, and currently has a sale going on reducing the $197 USD annual cost to only $97 USD, or $8.08 per month. Pianu is an attention-grabber, with a bright and cheery website design that is easy to navigate and to use. While it does offer lessons using your computer keyboard, it also supports MIDI input, which is a much more effective way to learn. If you’re looking for a good option, Pianu actually recommends a few on their website. If you’re looking for some more budget options, Amazon has a few options under $60. Be sure to check your local music store for sales and deals, as well! 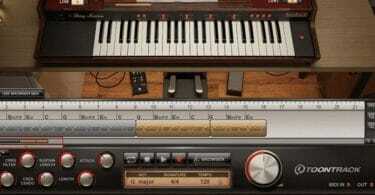 Pianu offers a robust and growing song library, ordered by genre and/or difficulty. They also offer the service for free in music classrooms through their school program to any teacher that requests it. The program will give 30 licenses per class. As for learning, the lessons are easy to navigate and track your progress with cheery displays and stats, like total amount hours played. Pianu doesn’t offer an app, but their website is mobile-compatible, which is the next-best thing. They state that their full lesson plan is equivalent to a year long introductory piano course, and payment includes any and all future lessons added to the lesson plan. Pianu also supports uploading custom .midi files, for students who want to learn a particular song that they don’t have in the site library. They also take user requests for songs to add, and update the database on a weekly basis. The website also lets you gift lesson subscriptions, which is a great feature for parents or friends looking to give the gift of learning to someone. All things considered, Pianu is a solid option for online lessons, with a fun and challenging lesson plan and a user-friendly interface. These prices are more than half the cost of Flowkey’s subscriptions, but Pianu doesn’t offer quite as many features. However, it’s still a great option for students looking to save a little money without too much compromise. All things considered, I think it’s a great choice, although I am a bit bummed they don’t offer an app. Playground Sessions isn’t quite as flashy or modern as other sites listed in this article, but it comes with a lot of shining reviews from students and online learners. The curriculum doesn’t use visual piano keys that light up with each note like a lot of popular lessons have begun doing. Instead, they only offer traditional notes on a musical staff - which might be a plus for classical learners, or students looking to improve their sight-reading. Playground Sessions is pretty unique in its approach to teaching songs. When learning a song, Playground Sessions adds notes to the staff bit by bit, and the progression through the lesson is a lot like a game - which helps a lot of students enjoy practicing, as the site gives you a score based on the amount of mistakes you make while playing. If you play the song perfectly, you’ll earn 100% - which is a surprisingly good motivator for a lot of students. Playground Sessions kicks you out of the nest, metaphorically, from the beginning - it has you choose a popular song and try to play along in your very first lesson. Afterwards, it breaks down the theory and positioning behind the music in a simple, easy to understand way, giving potential pianists something to keep them invested in practice besides memorization and exercises. The service uses a game-ified level system to track your progress through the lessons, with each lesson and song completed awarding a certain number of points based on how well you’ve played it. As you advance, it takes more and more points to reach the next level, motivating players to learn correct technique and chords to maximize their score for each segment. Playground Sessions does offer MIDI support, support for both Mac and PC, and an available app. They have a lot of very good reviews floating around from satisfied students, but the service isn’t without its drawbacks. After you exhaust the library of songs on the “easy” levels, the more advanced songs are previews or simplified versions. If you want to learn a particular song, you’ll have to pay, a cost on top of your monthly subscription. And the average pricing for a single song is around $3.99 USD, which seems to be a bit high for a subscription-based service. If you don’t want to pay, you’ll have to earn the songs by playing easy ones - songs can be purchased with stars and points earned from good practice, which provides a free way to obtain songs. However, some players may not want to play songs they’re not interested in in order to get access to what they really want to learn - and as the exchange rate is 15 stars, you’ll have to perfectly execute 5 songs to get one song- something a lot of students might not want to do. Playground Sessions is also a subscription-based service, with pricing in the middle range of the pack when compared to other online piano lessons. However, if you’re looking to learn some more advanced songs, you’ll have to save up points or purchase the songs on top of your subscription payment. All in all, Playground Sessions comes highly reviewed with a mention in several online and print publications, and students are big fans of the teaching methods in spite of the drawbacks, so it’s a solid option for beginner students. Udemy is a bit different than the other items on this list, because they don’t just offer piano lessons. Their site offers the ability to ‘learn anything- on your own time!’, and is full of user-submitted courses reviewed by the user base and udemy’s staff. 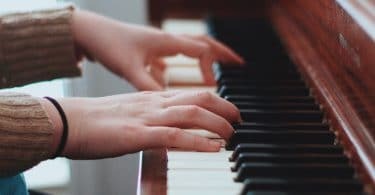 Udemy is a interesting concept, because it offers a huge variety of lessons for any particular focus that a student might want to pursue - for example, there are courses on sight reading, piano for singer/songwriters, and jazz piano. The downside of this, however, is that it can be hard to zero in on any one particular lesson or course, and since they are all paid separately, it can be an important choice to make. Udemy does offer a 30-day money back guarantee, so if you do make a bad purchase, you can pursue a refund through the site, which is a nice feature. At the time of writing, there are over 300 results for piano courses on Udemy, each composed of a number of lessons. So there’s no wanting for material - and new lessons are always being created. This is hard to quantify for this particular listing, as Udemy has prices that vary wildly from lesson to lesson - since publishers and instructors can set their own prices. Courses comprised of anywhere from 10 to 40 lessons can range from $19.99 USD all the way up to $199.99 USD. However, at the time of writing, Udemy appears to have a promotion that will reduce your first lesson to only $19.99 USD - which is a good bargain, although their site doesn’t provide a lot of detail on what limitations might apply. As an aside, a lot of online reviewers seem to be concerned with content quality - that the site is being filled with low-effort coursework from unqualified instructors. The reviews for the course should be enough to tip you off on the quality of the lessons, but if you do end up buying a dud, the general consensus is that Udemy’s refund policy is excellent, so you won’t be stuck with it - provided you return it within 30 days, you’ll get a full refund. The danger of buyer's remorse comes with the territory of online purchases, unfortunately - always do your research before making a purchase online! That being said- Udemy has a lot of quality piano lessons, so I’m sure you’d be able to find a good fit for your needs, and with their current deal, you’ll probably be getting a pretty solid bargain. However, if you’re looking for a totally free option, there are some great resources on youtube that might help you get started - although they don’t come with the benefits of an online course, they won’t cost you anything but your time. Some channels dedicate just to teaching piano are Lypur’s Academy on youtube, Mangold Project, and Lessons On The Web. Online lessons are a great alternative to students that can’t make the time to meet with a teacher, don’t have the means to pay one, or simply want to learn at their own pace without the pressure of an instructor. This article has a great selection of some of the best sites to learn, so I hope you take a look at one or two of the sites linked above.